Adventure Junky is an Australian start-up, founded by Fuchsia Sims and Nigel Malone. Their combined experience spans branding, travel, technology, economics and sustainability. The Chairman of Adventure Junky is John Morse AM, former head of Tourism Australia. Fuchsia is the public face and spokesperson of the Adventure Junky Brand, an integrated marketer highly skilled in Social Media and harnessing the millennial mindset. With a double life as an adventure coach Fuchsia assembles, motivates and leads the Adventure Junky team to its objectives. Fuchsia has a degree in International Marketing at the University of Sydney and studied International Business at the Copenhagen Business School. A self-confessed nomad, and firm believer adventures make the world go around, Fuchsia’s favourite places are usually in close proximity to a volcano or parrot fish - Raja Ampat is top of her bucket list! With 20 plus years in the marketing and design industries Nigel brings significant experience and insight to the table. Business acumen, a strong set of ethics, and a high value on culture define his approach. Nigel’s credits include rebranding three World-heritage listed sites including Australia’s Kakadu National Park. A qualified Sea Kayaking Instructor, avid climber, and serial rescue dog adopter. Nigel’s favourite adventure destinations are New Zealand’s South Island and Namibia’s Skeleton Coast. Growing up in the Amazon in Peru, Julio was taught from a very early age to respect and care for nature and wildlife. Seeing a jaguar or encountering a blue morpho butterfly was the ultimate experience for him as a kid. He studied Tourism and has a love for Sustainability and Anthropology, which led him to travel and live with isolated communities holding ancient traditions where he enjoyed understand their cosmology and connection with the Earth. For almost a decade Julio worked as tour guide all around Latin America and Antarctica. Now in Australia he works behind the screens using the knowledge gained from his travel and study to good use for Adventure Junky. John Morse (pictured right) is a former Managing Director of Tourism Australia with 35 years experience in the industry. 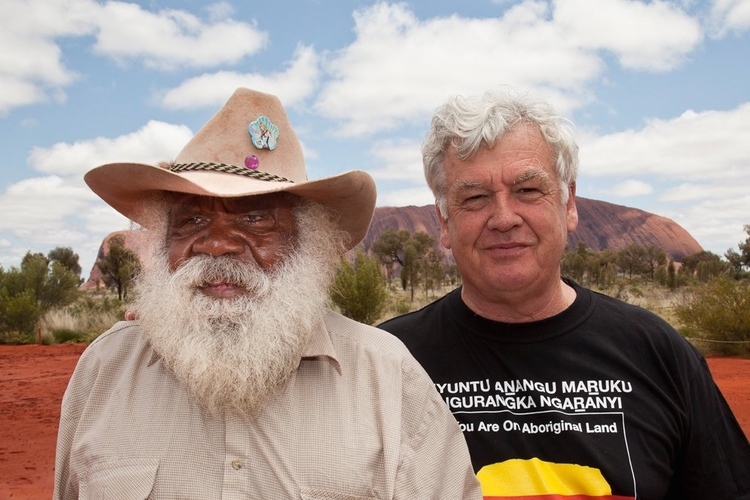 He is Chairman of the Mutitjulu Foundation at Uluru and was advisor to Parks Australia on Indigenous tourism in Kakadu National Park and Uluru Kata Tjuta National Park. In 2003 John was awarded an Order of Australia for services to tourism and the development of indigenous tourism. One of his most favourite places is Yolgnu Land, more commonly known as North East Arnhem Land in Australia's Top End, where he is known as 'the weaver' for his work in uniting indigenous and non-indigenous cultures.